I started this little series following the Kelowna stop of the provincial consultation process on what was entitled the “Disability White Paper”. I may have come across as demeaning it a little which was not really my purpose. My purpose was really to show how history is continually repeating itself and that generational shifts happen regularly. It’s a lot like being a twenty year old and saying you would never parent like your parents. Usually by the time you are forty most people have come to realize that maybe the way our parents parented wasn’t really that bad. In fact based on the societal norms, supports and technology they had available to them they generally did a pretty good job. In the meantime we have wasted twenty years trying to correct things that didn’t really need correcting. This whole idea was reinforced at the end of the event by a women from my generation. I am going to take a wild shot in the dark here by saying she had a visual impairment. Although I didn’t meet her or talk to her that fact that she was wearing dark glasses and using a white cane makes me fairly comfortable in my assessment. Her closing comment was directed at the younger participants in attendance and it was basically a reminder of all the work that had been done by her generation. She was really telling them that they didn’t have to re-invent the wheel as much as improve it a little. The second impressive comment that came out of that meeting was that an accommodation should not be part of a barrier. This is one that I have dealt with personally in many situations. Having done some private advocacy work (I’m not part of any non-profit so the government can’t take away any funding from me) I have dealt with to many situations where it was all about the fight. I have dealt with to many families that have had services denied to their child with a disability and wind up having to appeal. In the past three years I have done seven appeals and won every one of them. In every one of those situations it was a two or three thousand dollar service (speech therapy, community integration, etc) being denied. The appeal process would cost ten to fifteen thousand to complete. Now where is the logic in that. My most recent personal situation was the fifty-four weeks process which involved two appeals (the government lost the paper work for the first one is what I was told) to get $3500 in assistance to purchase a new wheelchair. In too many of these cases the approach from government and often the service provider is adversarial rather than accommodating. Budget protection becomes more of a priority than the actual delivery of services. What this kind of approach tends to ignore, using my personal case as an example, is called “return on investment” or ROI. Now that I have this new chair I can continue contributing to the community for the next five or six years without necessarily having to tap into any social support programs. Over $6000 by the time the upgrades finish. I know many people would have have just given up and accepted what was given to them. 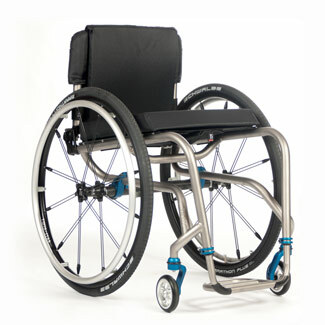 This chair weights 22 pounds and is considered a premium wheelchair. The one the government program initially insisted I take weighted in at 47 pounds which is a big weight difference. When your both shoulders are shot due to over forty years of walking on crutches that decrease in weight can make a huge difference. What they didn’t really understand fifty years ago was that shoulders were not meant to be a weight bearing joint so eventually shoulders will wear out. Since I drive my own car every time I go out I am lifting my chair into the car at least four times per trip. That type of repetition creates added stress to ones shoulders. Had of I not taken my own actions (a benefit of self-determination) and fought the governments decision I really doubt I would be as ambulatory today. One of the question this consultative process wanted people to focus on was “What can British Columbians do to welcome the contributions of people with disabilities, and what barriers can we remove”? To me the answer, in my mind, is pretty simple except when you are dealing with government nothing is simple anymore. It has all become about “risk mitigation“. Focus on self determination and get rid of the adversarial nature of service delivery. For example every time I have to access a disability related program I have to bring in documentation from my doctor to prove I’m disabled. Every five years I have to renew my disabled parking placard and each time I have to bring in a letter from my doctor to prove I qualify as disabled. Trust me people, the results of polio are never going to go away and I will always be considered disabled. It is a small thing but I am being forced to tap into an already overburdened healthcare service. And secondly, to make things work utilize the resources that are there. One of the recurrent themes throughout the day was educating employers. Well for the past forty years minimum there have been community organizations (Canadian Paraplegic Association, Community Living Association, Independent Living Association, Canadian Mental Health Association and the list goes on) whose role has been to promote community awareness. The organizations are there, use them. Quit creating barriers by playing politics with members of society who live with a disability. Quit trying to reinvent the wheel, focus on improving it with the new tools and changes in societal thinking. This entry was posted in Disability, Politics and tagged independent living, Just one man's opinion, living with a disability, Terry Wiens, wheelchairs, work and disability. Bookmark the permalink.